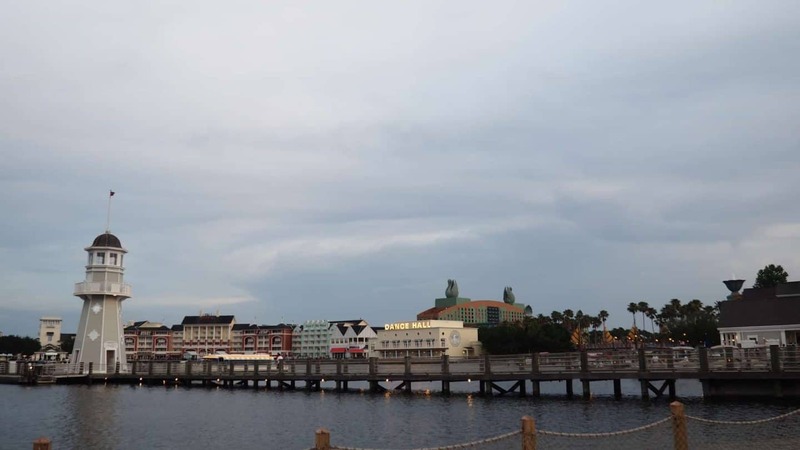 Looking for a budget lunch on the Disney Boardwalk? 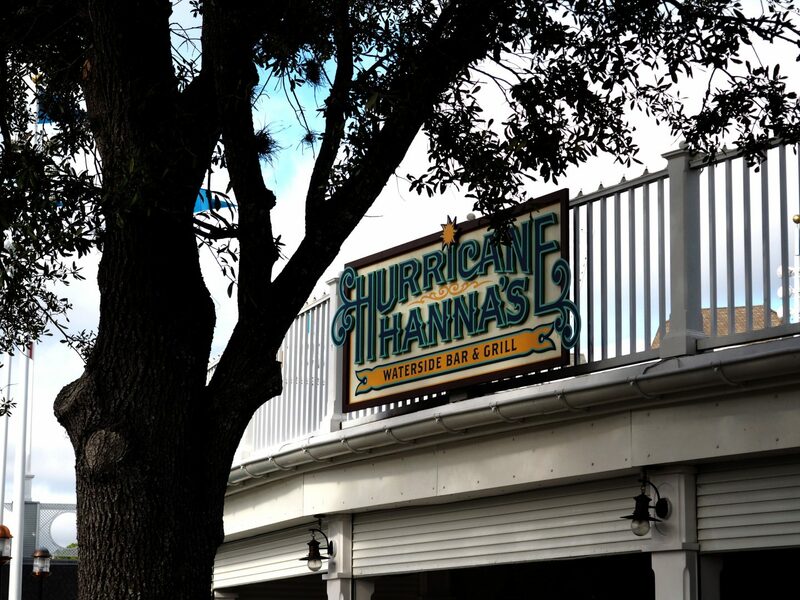 Hurricane Hanna’s Waterside Bar and Grill is tucked in a corner between The Beach Club and The Yacht Club. With tables, lounge chairs and a nearby pool this is the perfect spot for a quick lunch. With the beach nearby you can also set up your afternoon picnic. Add in views of the Boardwalk and its easy to see why this may be a nice, convenient, lunchtime stop. Are you looking for a quick lunch while at Disney Epcot that doesn’t require a reservation and won’t break the bank? 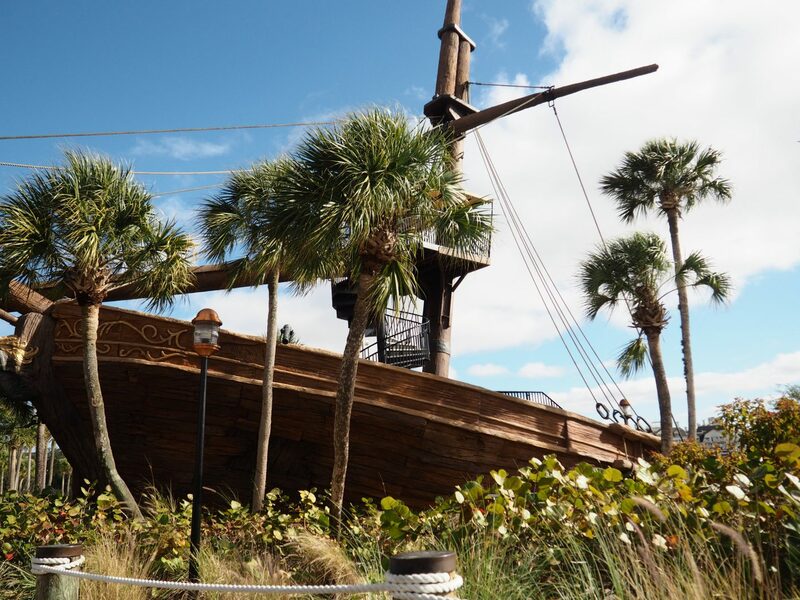 We love all things Boardwalk, so it’s no surprise that we found Hurricane Hanna’s Bar and Grill as the perfect stop for a quick lunch in a beautiful setting. 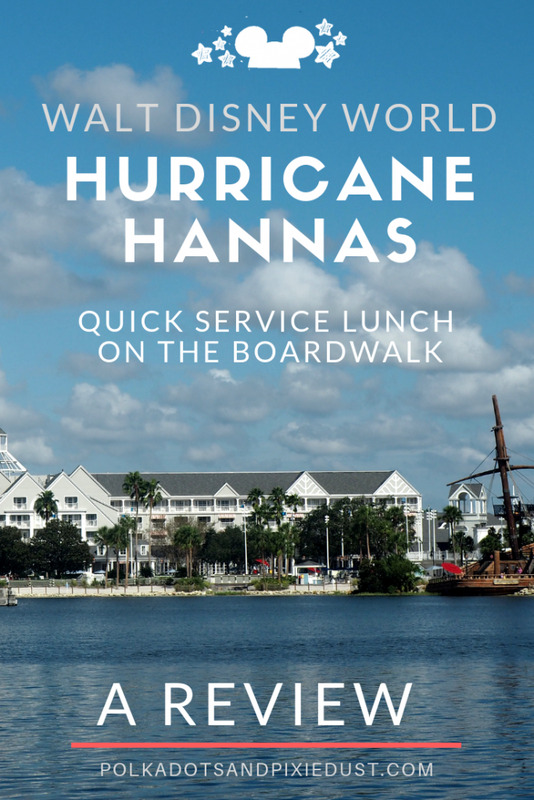 Hurricane Hanna’s is a little waterside quick service counter that sits between the Yacht Club and the Beach Club resorts, located on the Boardwalk. While the Boardwalk does have a plethora of places to eat, and amazing places at that, this last trip we were without reservations and needed something faster and cheaper. 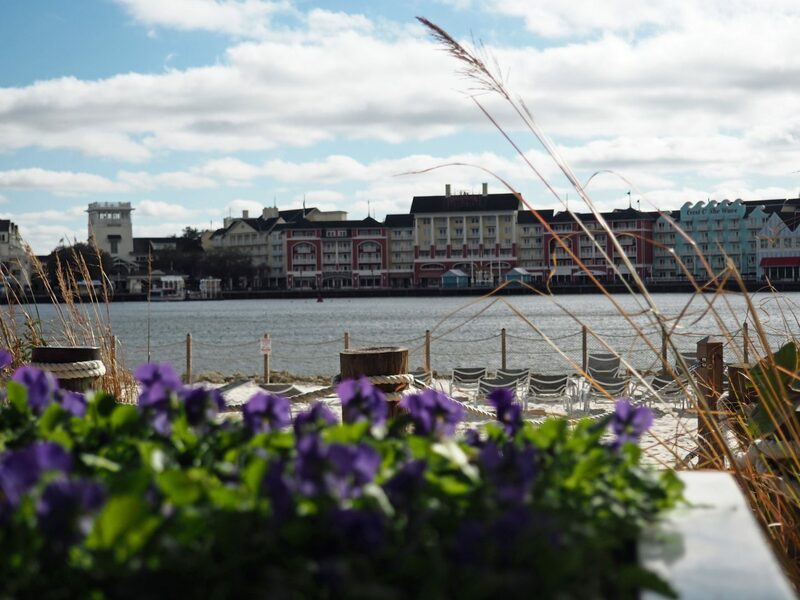 With views of the boardwalk you can grab your food at this waterside bar and grill and go to a table or head for the sand. All seating is outside. We like this best as a quick place for lunch if you’re in the midst or doing all the things and just need sustenance. Hurricane Hanna’s doesn’t by any means qualify as a foodie experience, but does meet the needs of a nice lunch. Check out the menu for what you’d love. 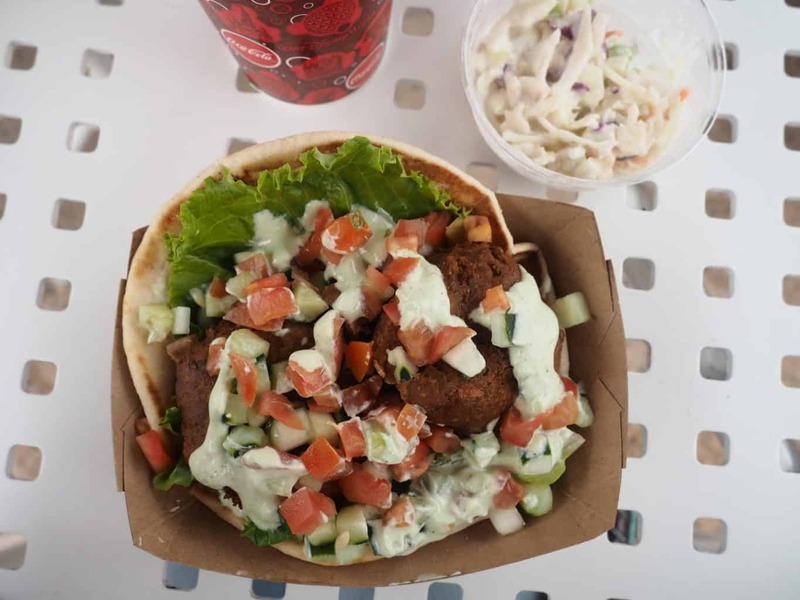 They have falafel pitas, a buffalo chicken wrap, pulled pork, cheeseburgers, chicken, and salad. Everything is a little spicy. And by little… we mean “more spicy that you may think.” Keep that in mind if you’re feeding picky kids. It also all comes with your choice of apple slaw or french fries. We loved both of the sides so choose what you like, both were amazing. Also the portions of everything felt over-sized. We definitely could have cut the portion in half and saved it for later. They also have a kids meal in the event that you want to play it safe. Prices here were pretty good given that the whole feeling was slightly more upscale than regular Disney quick service found in the parks. While this did not make our best quick service restaurants at Walt Disney World list.. we’d definitely revisit Hurricane Hanna’s when we’re in search of a lazy lunch. 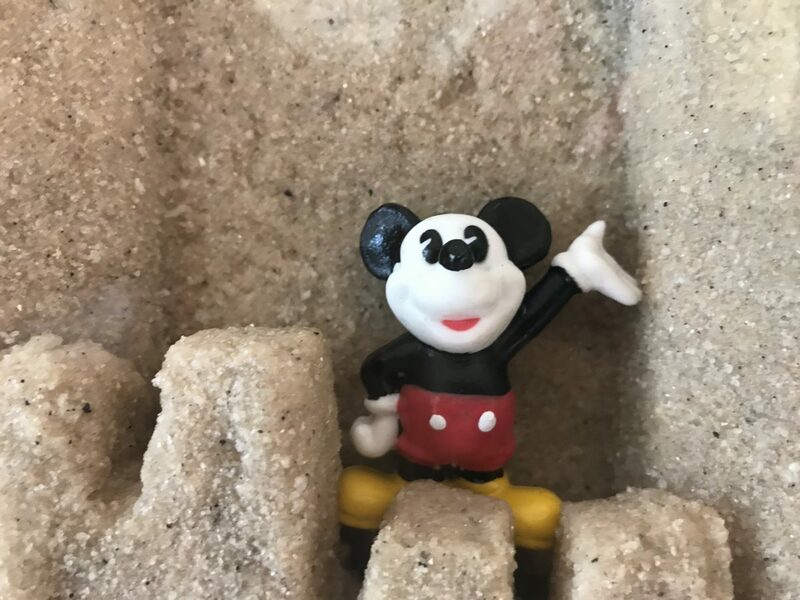 So, quick disclosure, we’re suckers for pretty settings where sand and water are involved. Truthfully, this food could have been horrible and we would have still walked away feeling o.k. about it just because it’s gorgeous on this part of the Boardwalk. Primarily a poolside bar Hurricane Hanna’s also has a slew of cocktail drinks perfect for your fancy pool lounging or boardwalk beach experience. You’re likely to enjoy whatever you get. And be sure to grab one of the Gold Peak teas as your beverage, it makes the perfect add to your beach side lunch.